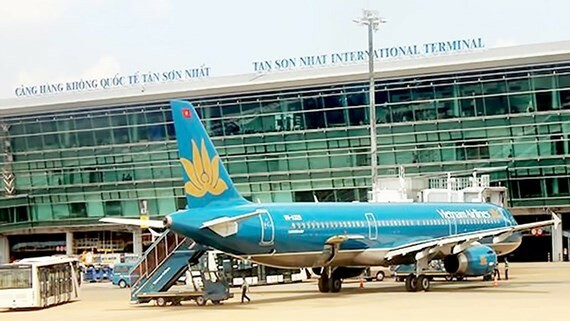 The Commission for the Management of State Capital at Enterprises yesterday said that it had approved of the Ministry of Transport’s proposal to choose Airports Corporation of Vietnam (ACV) to be investor of Terminal T3 at Tan Son Nhat International Airport in HCMC. According to the commission, ACV’s investment in and exploitation of one more terminal at the airport aims to ensure the International Civil Aviation Organization (ICAO)’s regulation in which each airport has only one operator. 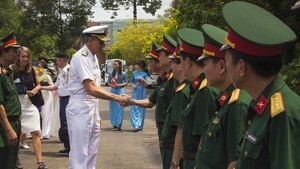 That will also facilitate the airport’s exploitation to make it function efficiently and synchronously with Terminals T1 and T2 and other works which ACV has been exploiting at Tan Son Nhat. ACV is the company which the Ministry of Transport assigned to build a pre-feasibility study report for Terminal T3, operating under the modal of a joint stock company with state capital ratio making up 95.4 percent. The company is experienced in investment, management and exploitation of airports, having financial source to meet the project’s capital demand. In case of being approved by the Prime Minister, ACV will do procedures according to the Investment Law and relevant legal regulations to implement the project. Currently, the Commission for the Management of State Capital at Enterprises is the representative of state capital owner at ACV after the company’s management was handed over from the Ministry of Transport to the commission in November 2018. Terminal T3 project with the capacity of 20 million passengers a year has lured the attention from the public and investors including FLC Group and Imex Pan Pacific- IPP Group. According to experts, the project has high profitability for locating in the largest airport in Vietnam which is forecast to continue growing strongly in the upcoming time. They advised comprehensive consideration over investor selection for Terminal T3. Specifically, investors must be qualified and able to meet the project’s progress as well as quality and cost-saving requirement. The Ministry of Transport said that it is waiting for the Prime Minister’s decision to choose ACV or organize auction to choose investor.